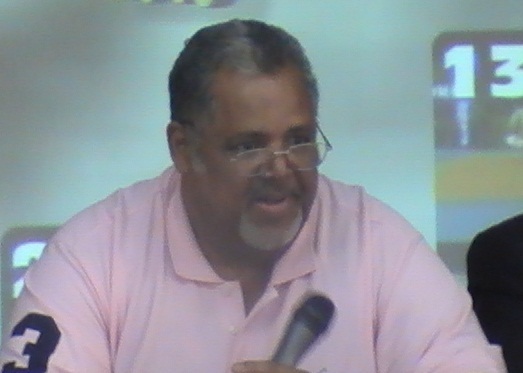 As you may know, over the last 2 years our friend and head of referee commission for PJC, Julio Clemente, has been battling cancer. His status has not improved and to some degree is much worse than a year ago. He continues to be in much pain and is not able to leave his home, except for his treatments. Julio has been out of work for a full 2 years and, since he was self employed in the field of construction, he had no insurance and as an American citizen is just relying on his Medicare and other federal assistance he gets in Puerto Rico. Further, to make his life more challenging, now his only support is his son and whoever else comes around to assist him. Please consider helping Julio to the extent that you are able by donating to the Julio Clemente Get Well Fund managed by Michigan Judo Development Association, Inc (MJDA). Click here for the donation form and details. Please consider donating to the fund by November 8, 2012. Please mark your check “Julio Clement Get Well Fund” and make check payable to “Michigan Judo Development Association”. This entry was posted on October 10, 2012 at 6:00 am and is filed under Judo News, Support Judo. You can follow any responses to this entry through the RSS 2.0 feed. You can leave a response, or trackback from your own site.